They may be young, but they are taking on a big issue. A group of passionate Melbourne students are tackling climate change by proposing a new Bill aimed at reducing carbon emission by 20%. 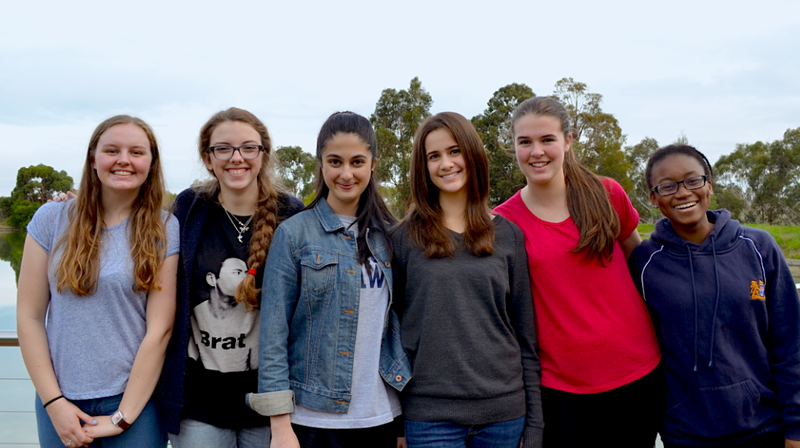 The six students from Melbourne Girls College (MGC) have developed ‘The Compulsory Environmentally Sustainable Industrial Building Bill’, as part of the YMCA Victorian Youth Parliament program. If successful, new industrial buildings will be required to meet the new sustainable regulations, or face monetary penalties. The Bill proposes government grants for struggling businesses to meet the new regulations, as well as rebates for sustainable buildings. Climate change is certainly a hot topic, with The Intergovernmental Panel on Climate Change predicting a 5-degree rise within the next century. The team of six students believe this will destroy the sensitive natural habitat of Victoria. “We think it is important to get the message across that young people everywhere are concerned, and see that something must be done,” MGC team member, Olivia Campisi, said. The group hopes the Bill will promote responsible industry behavior and ultimately force businesses to take account of their environmental impact. “We hope to really make a difference and promote the issue of how we are currently living and building, and also to make sure society takes measures to become sustainable,” Campisi said. Campisi said the team hopes to bring governmental awareness to the issue. Posted on June 18, 2014 July 1, 2014 by vicpressgalleryPosted in 2016Tagged Carbon, Climate Change, Construction, Emissions, Energy, Environment, Government, Melbourne, Melbourne Girls College, MGC, Parliament, Victorian, YMCA, YMCA Victoria, Youth, Youth Parliament. Next Next post: Students take underage cosmetic surgery debate to Spring St.